If you work in tough conditions but you have a sincere love for music then life might get a little hard for you. Because you won’t be allowed any earphones or headphones on the job site even if they are wireless as it is not safe. The worst part is that even if you play music on your mobile phone, you won’t be satisfied with it because it is not loud enough. What would you do in such a situation? How will you make your life and job easier and more entertaining? A worksite radio is the answer you are looking for. So, what exactly is a worksite radio? Well, as the name suggests a worksite or a job site radio is basically a radio which is built strongly so that it can perform well in tough conditions. It should be impact proof and be durable enough that it does not stop working even after falling down or receiving some hits. Now, out of all the job site radios which one is the perfect match for you? You have to do your own set of research to find that out and you will have to go through hundreds of options to narrow down to one piece. It is a very long and exhausting process. What if we tell you we have done that long and hard work for you? You will be relieved right? You might be wondering that out of all the choices available in the market why did we choose to write about this. You have to keep reading to find that out. In this post, we have created a detailed buying guide which will include all the necessary information about this awesome worksite radio. 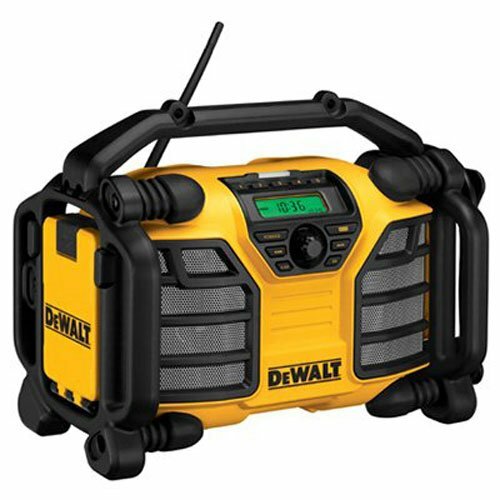 Let us begin with the product description so that you get the basic idea about worksite radios and what is so special about this DeWALT radio. The DeWALT DCR015 comes with a USB port and an aux port as well. There are two AC Power outlets too which are quite helpful. 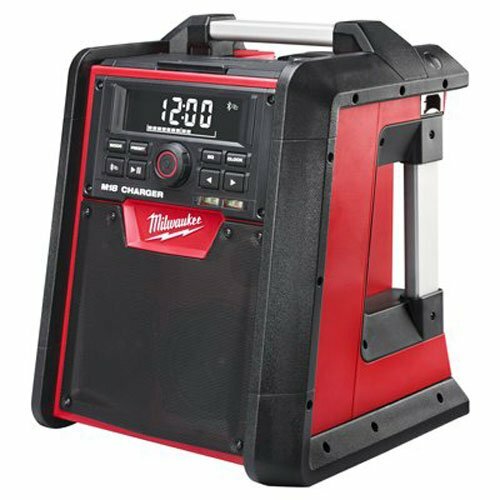 For the 12V and 20V, max battery packs this awesome job site radio has a 2A charger. This radio has a really fast and convenient charging option. When your smartphone or iPod is connected to the radio, it can be placed in the device storage box for protection from job debris. 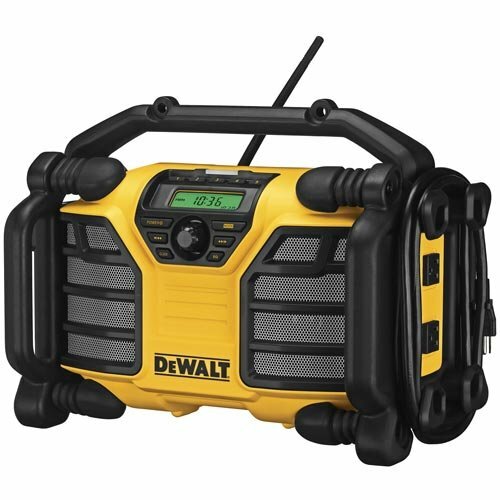 This DeWalt radio has tweeters, class D amplifiers, and woofers as well for great sound quality. It offers a full range with low and high sound options that can be set manually via an equalizer. 2 AC power outlets along with a USB and AUX port. You can also charge your device via USB when the radio is connected to the AC outlet in the wall. A device storage box to protect your phone or any other device that you have plugged in from the dust or any impacts. A quick charging option where it takes less than 90 minutes to charge. With the help of AUX and USB ports, you can connect phones, CD/DVD or MP3 Player and portable satellite receiver as well. It also offers a great sound quality which is always a plus point. Will this radio run on 18 volt DeWALT batteries? Answer: No, this radio is not designed for 18-volt batteries. You can only run this radio on 12v/20v batteries. Though there are other radios like DC012 which are designed especially for the 18-volt batteries. Is this radio from DeWALT waterproof too? Answer: No, it is not waterproof. You are safe from a little wetness though. I am really confused between DCR015 and DCR015BP, can anyone tell me the difference between the two? Can I plug in my Apple iPhone and play my playlist music on this radio? Answer: Yes, you can use the aux port to connect your iPhone and play your favorite music on this radio. You can also use the USB port to charge it at the same time. You can put your phone in the device storage box to protect it from worksite debris too. 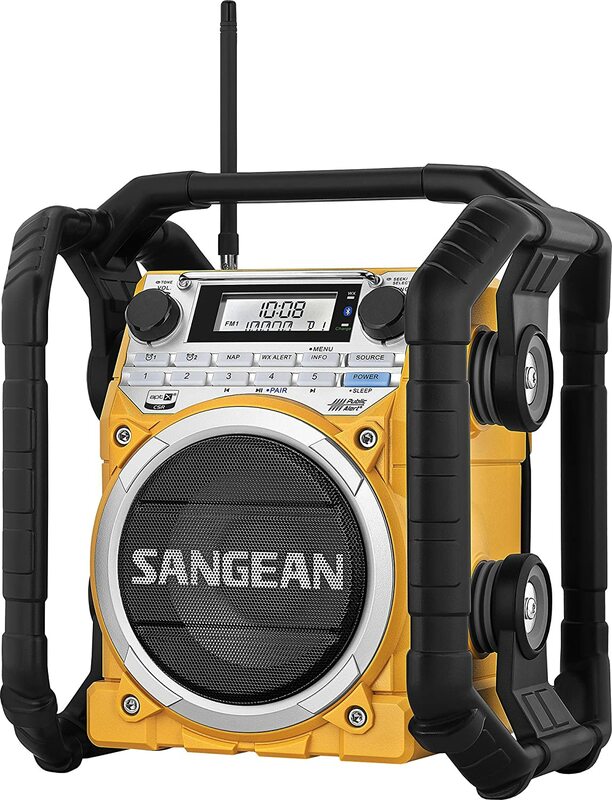 When I decide to buy a strong durable radio, I did my own set of research and ended up buying this one and it is great till now. The reason I chose this radio is that if will run on the battery for a really long time and also you don’t have to charge the battery separately as it gets charged automatically when plugged in to power supply. Here is what I can tell you about this radio. You can use this radio in two ways, which are: either you use up the battery to run the radio or you use this radio to charge up the battery. In my case I have been using 20V batteries for a very long time now and I haven’t faced any problems until now. The best feature of this radio according to us is the two power and outlets but its other amazing features like USB and AUX port and quick convenient charging cannot be ignored too. Anyways it depends on your needs that which is the most useful feature for you and in this we have mentioned everything about this radio so you can decide on your own that what is best for you.